Book by 31 March 2019 for travel in April 2019 or May 2019 (USA only). KrisFlyer Spontaneous Escapes is back with another month of great redemption deals for travel in the months of April and May 2019. Tickets issued under Spontaneous Escapes cannot be changed or canceled, unlike regular award tickets which allow this for a fee. If you’re booking a Spontaneous Escapes award, be sure about your travel plans, or buy a travel insurance policy that covers miles bookings. As a reminder, it is always recommended to book your journey as two one-ways instead of a return as some city pairs might only have Spontaneous Escape rates for the outbound/inbound flights. Spontaneous Escape rates must be booked online and are not bookable over the phone. They are also not eligible for the stopover trick. In this edition of the Spontaneous Escapes promotion, we are once again seeing the return of a 30% discount on the original redemption rates. For the first time ever we are seeing discounted awards to Tokyo being made available, albeit with heavy blackout dates given the long Good Friday weekend. 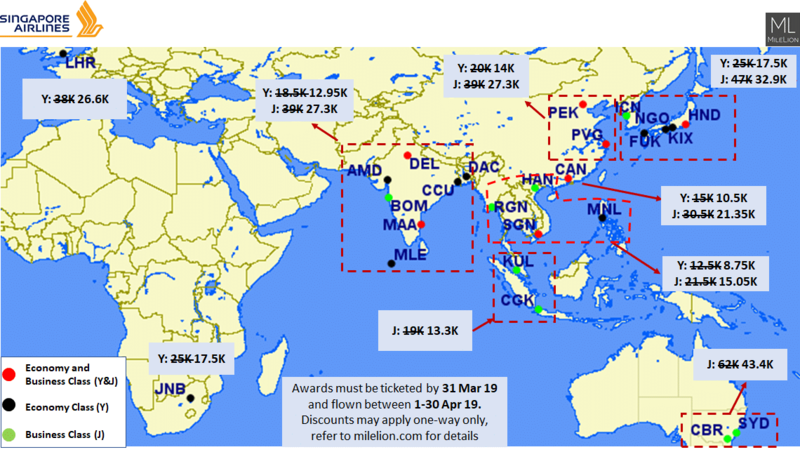 Good news again for those who have taken advantage of the Cathay Pacific mistake fares and are traveling in April 2019: Hanoi is once again available for redemption in the month of April 2019 with Business Class awards available. 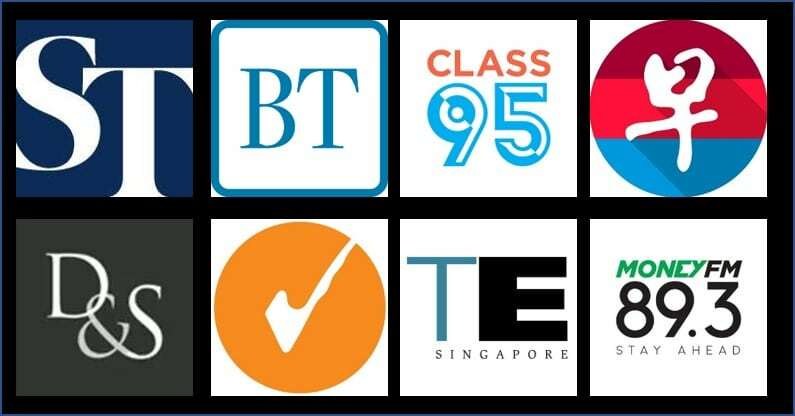 If you are checking-in bags through to CX/KA, this will not be an issue as Singapore Airlines has interline agreements with CX/KA. 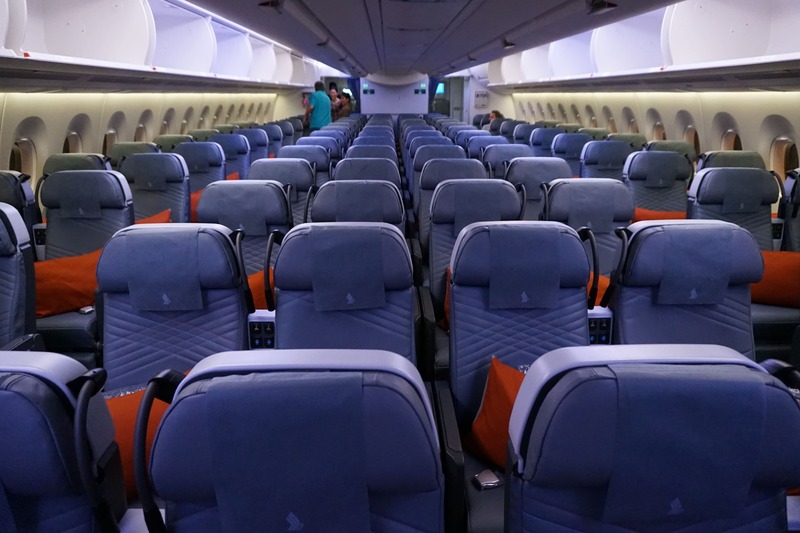 We normally do not recommend using your miles for Premium Economy class awards where possible as for just a bit more you can already snag yourself a Business Class seat. However, at just 45,150 KrisFlyer miles from London back to Singapore in Premium Economy, that’s actually a pretty decent redemption rate and something worth considering if you are currently waiting for a Business Class waitlist to clear but want to firm up your return flight. Again, we see that LAX is the sole US destination that’s available for redemption under Spontaneous Escapes rates. Note that travel to LAX is only in the month of May 2019. At 47,600 KrisFlyer miles one-way, it’s a little hard for me to recommend redeeming this especially since there are great value Premium Economy fares to the United States available. 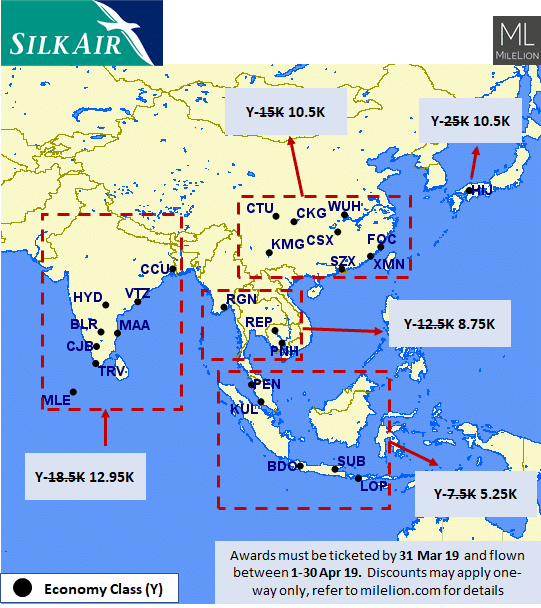 Over at sister airline SilkAir, the list of destinations available are only valid for travel in Economy Class. 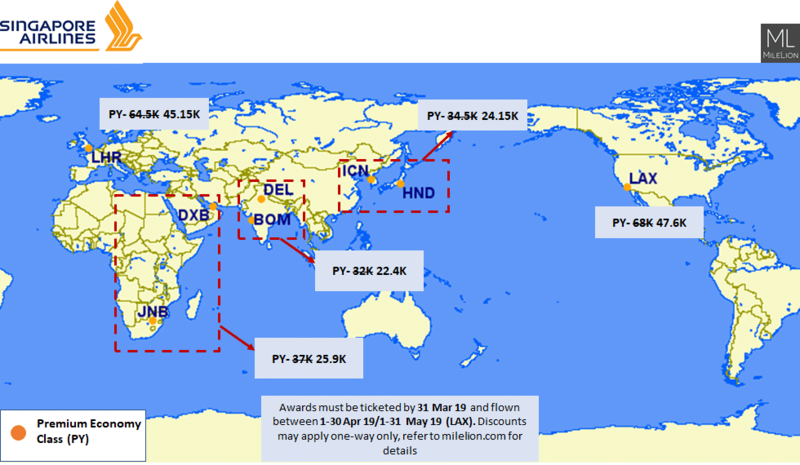 Hiroshima stands out as it’s going at a discounted redemption rate of more than 50% compared to its usual redemption rate (Hiroshima was actually operated by a B737 MAX 8, but with the grounding they’ll be switching it to something else). For some reason, Bangkok has been missing from the list for several months now and Bali is once again missing. Hong Kong is sadly not available for redemption at Spontaneous Escapes rates in April 2019. While this edition of the Spontaneous Escapes isn’t offering as huge of a discount as last month, at least we know now that the discount quantum will be at 30% the usual redemption rates in each month’s Spontaneous Escapes promotion. i’m curious about hiroshima, because it’s the only destination that isn’t 30% off. normally it should be 25K, so 30% off would be 17.5k. this leads me to believe that SQ has made a boo boo by pricing it at 10.5k in their landing page. 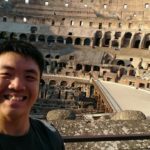 I’m getting 86,800 Miles + SGD 203.60 return so that seems fine. Keep in mind only SQ288 is discounted (which has an annoying stop in Canberra when returning).